Terry was brought up in the District. After graduating from Victoria University in 1978, and travelling overseas and then gaining experience with a Hastings law firm, Terry returned to his roots in the Matamata area, joining Schofield Peterson as it was then known, and becoming a partner in 1983. The firm changed its name to Magill Earl after a few years following Anne Earl joining Terry in partnership in 1986. Terry handles a wide variety of legal issues on behalf of a large client base. A self professed “farming and business lawyer”, Rural, Commercial and Residential Property work, together with Trust and Succession Planning consume much of his time. Terry has also developed a real specialty in which his expertise is widely sought – handling all the types of issues that can arise, both mitigatory and remedial, around the disposal of dairy farming effluent. Terry jokes that some of his closest friends and colleagues refer to him as “the s@!# lawyer” because of this work – but Terry’s clients know that this moniker doesn’t refer to his legal abilities! Theory is no substitute for hands-on experience either. Terry runs his own dairy farm in nearby Te Poi, and took particular pride in achieving the prestigious Livestock Improvement Corporation Dairy Farm Award and the Environment Waikato Water Protection Award (2009). These awards recognise sustainable farming (against all dairy farmers). Terry’s footprints are all over the community. 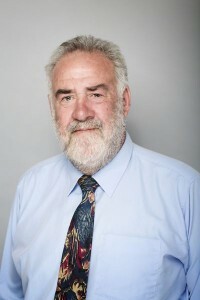 His contributions include 12 years as a Councillor on the Matamata- Piako District Council and a trusteeship (including the Chair) of Matamata Futures Inc – a hands-on organisation that has facilitated many noteworthy things over the years. Terry’s involvement (with the trustees) included raising $750k for the Pohlen Hospital Trust, facilitating Matamata CBD’s rejuvenation and preserving the magnificent Oak trees which provide a picturesque avenue for visitors approaching Matamata from the South East. Spare time? Not much obviously, but Terry enjoys spending time with his family (6 children and an increasing tribe of grandchildren) supporting local sports, reading and assisting at his dairy farm.